Wine is a funny (read “odd”) business. As a buyer, I get to see its many levels, from the sublime to the ridiculous. We do our best to avoid the ridiculous but today I ran smack into it. Currently, I’m putting together a very large Champagne and Sparkling Wine tasting, offering over 120 wines – count ‘em 120+! – to 400 wine-loving people at Wine World & Spirits in Seattle’s Wallingford neighborhood this Saturday, December 6th. The selection process has been going well; we are assembling a well-rounded offering of bubbly from around the world through the entire price range. Too many Proseccos, of course. I’ve seen troops of desperate sales reps, gamely trying to explain why their Prosecco is the best or why it is a bargain. I like Prosecco but new brands seem to crop up like weeds in an ultra competitive market. We had just tasted two fine grower Champagnes and the remarkable 2010 Analemma Blanc de Noir Atavus Vineyard. All was right in the world. I fancy I had a serene smile on my visage as the last drops of the Analemma disappeared from my tongue. Then, three suits from a very large wine broker strolled in. It appears someone had arranged for a blue sparkling wine to be poured at the tasting. The bottle contained a lambent, limpid blue concoction whose color was not to found in nature but rather in the dusty attic of a marketing hack’s mind. The product (I refuse to call it a wine) in question is a blueberry-flavored (extract, mind you) sparkling Chardonnay fermented in tank with 19.8 grams of glucose/fructose. The product is from California but graced with a pretentious French name labeled “Blanc de Bleu Cuvée Mousseux Brut.” And it will be poured Saturday. I know I sound snobbish but Blanc de Bleu appears to be crass, a beverage without sincerity. I smell a cynicism here, marketing graduates looking for an attractive line extension, trying to carve out a big slice in the artificially flavored alcoholic beverage category. Ridiculous has a new color and it is blue-like. “2014 was a perfect vintage,” says winemaker Kim Brady of Brady Cellars. Great dinner last night with my son, his girl friend, and my friends, Chris Nishiwaki and Kent C. Everyone bravely ate my savory pasta recipe with sausage prepared by Chef Nishiwaki. Wine of night was the 2007 Dunn Howell Mountain Cabernet. It was beautifully balanced and complex. The 2000 Chasse-Spleen was very good, a classic from a great vintage. Last night’s disappointments were a Cayuse 2004 Cailloux; it was too fat with 15.5% alcohol. 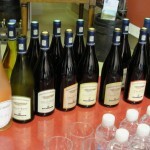 The 2008 Penner-Ash Pas de Nom – pas d’interesting. It was a rich but unexpectedly simple wine from a great vintage. The 2005 Guiraud Sauternes was lighter and nuttier than usual. The 1998 Coutet Barsac was lovely and perfect. We enjoyed the latter two with fresh fruits. It was delight for all of us to enjoy lively conversation, comraderie and my son’s growing interest in fine wine. Alas, I must return to the dishes! Last night I was privileged to join a group of food and wine lovers for a magnificent dinner at Seattle’s Crush in Madison Valley. James Beard Award winning Chef Jason Wilson oversees the magic that is Crush. It is a jewel box of a restaurant. But this was a very special dinner. Burgundian wunderkind winemaker David Croix of Maison Camille Giroud was in town and his importer, Cordon Selections, and I arranged this dinner to celebrate his wines. I invited my best customers and we had a full house. The menu and wine list is below. Every detail was perfect and utterly delicious – even the spooned scallop amuse-bouche – isn’t that the point? There was one exception regarding the decanting of the wines which I’ll discuss later on. 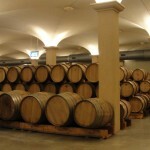 For this blog I’m going to focus on the wine; it’s something I know and can write about. I’ll do my best to describe the food. Our first course was the Hon Hamachi Crudo (raw) with drizzled black (fermented) garlic and balanced by Fava Beans accented by radishes. Hon Hamachi is Japanese farm-raised premium yellowtail tuna famed for its taste. Chef Jason ferments the garlic on his roof! 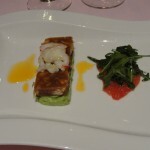 The dish was paired to a 2008 Puligny-Montrachet Champs Gain 1er (premier) cru. This was textbook Puligny, racy, mineral driven with brilliant lemon and pineapple fruit. Its crisp acidity cut through the flavors of earthy, salty, meaty and piquant like a laser beam. It was time to shift to red. The next dish was a study in modulated, perfect earthiness. House-made Tagliatelle was perfectly textured with just the right degree of firmness. Chef Jason used this as a bed for freshly caught (18 hours) basil fed snails from his local seafood provider along with Porcini mushrooms, Summer snap peas (great firm texture! ), Chervil and black pepper crême fraiche. The latter added the right touch of richness without smothering the other flavors, perhaps getting a lift from the touch of black pepper. Winemaker David Croix intent on a hard night's work. This flavorful ditty, a bit delicate, was perfect with the 2002 and 2008 vintages of Côte de Beaune Villages. Now this appellation gets little respect. Its often cooler because it’s up slope from the finer real estate. Thus its grapes ripen later and not as fully, unless it’s a warmer vintage like 2003, 2005, and 2009. How these wines then defied expectation! 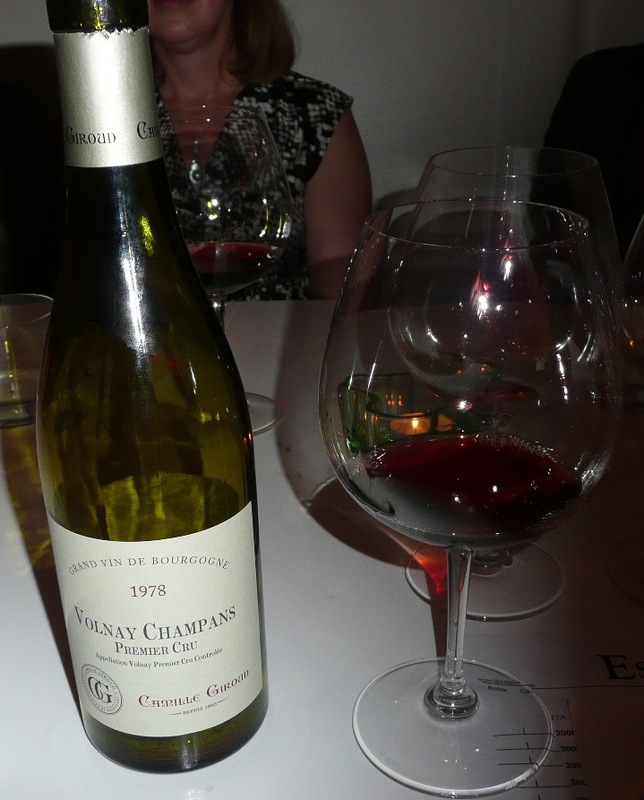 The 2002, a classic vintage, was surprisingly fresh, youthful and rather rich with beautiful raspberry flavors. The 2008 was lighter with a bit more tart acidity but it was not thin. It was tight and you could sense that there was more substance hidden there. I wish it had been decanted so it would have a chance to open up. I like the 2008s. It’s an underrated vintage, especially for reds. I’ve tasted over 200 Burgundies from 2008 and it’s a great year for whites but the reds get more impressive with time. They are not as ripe, lush and full-bodied as 2005 or 2009 but they will last and already show good power combined with elegance. 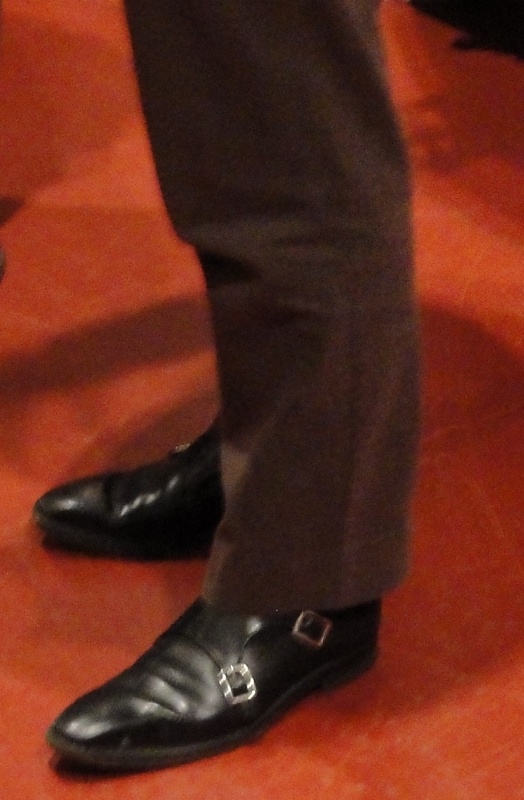 David Croix spoke in similar terms about the vintage. He’s a modest young man who is a proponent of organic and biodynamic viticulture. 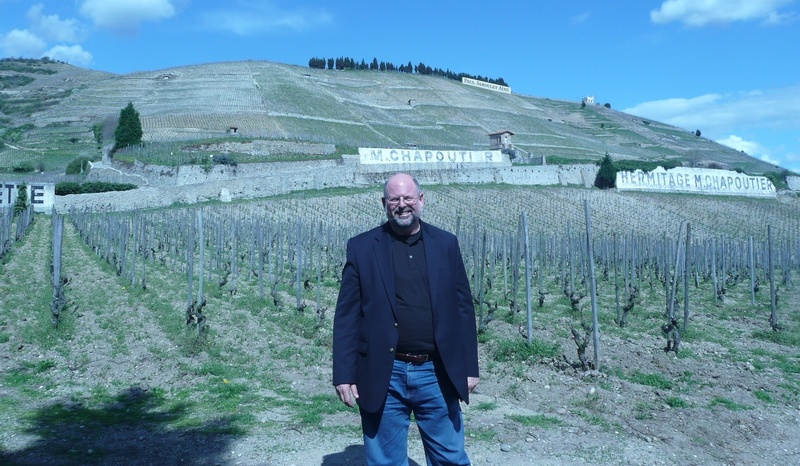 David ardently desires that his wines faithfully reflect their terroir, using low yields, only native yeasts, avoiding over extraction and over-oaking. 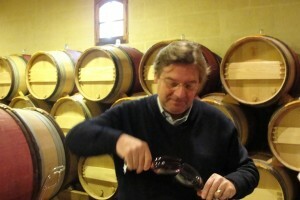 He wants age-worthy wines but lets the vintage decide that characteristic, not his winemaking. Now it was time to approach Burgundy’s zenith, the Grand Crus. The menu stepped it up accordingly. Next up, Liberty Farms Duck Breast scented with Grains of Paradise and accompanied by a soubise of Walla Walla onions (a kind of onion-infused béchamel), duck confit, pickled ramps and quinoa. Ramps are a family of wild leeks, the first of Spring’s vegetable harvest and they are pickled to preserve them for enjoyment later in the year. The Liberty ducks are raised in Sonoma County and are a strain of Pekin Duck that was developed in Denmark and is suited to a slower, less stressful style of rearing. The farm’s web site goes on to affirm that “Liberty Ducks receive no antibiotics or hormones and are fed a diet that consists largely of corn and other grains. The combination of all these factors result in the best, most flavorful duck available in the country today.” The consensus of our diners concurred. Yum. 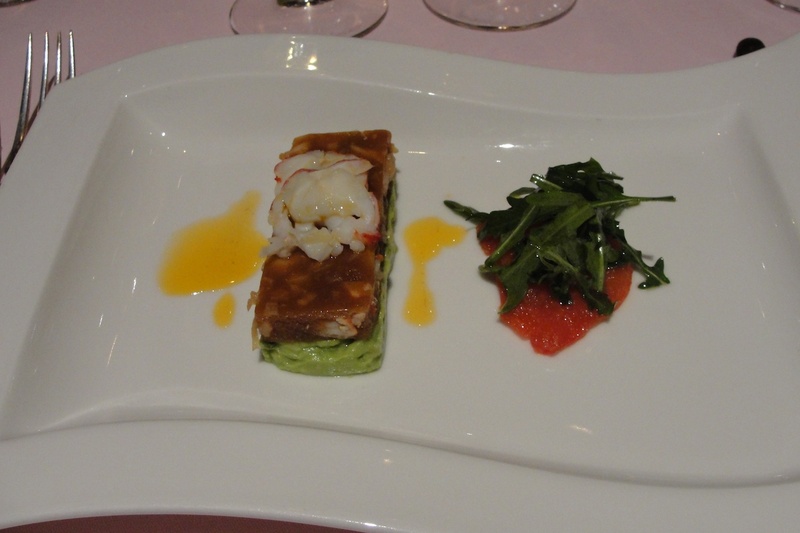 The 2008 Corton Grand Cru stood up to this amazingly flavored dish. 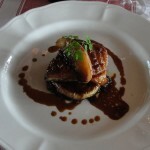 Here, the wine’s tobacco spice and dark berry flavors were once more a great complement to the dish. 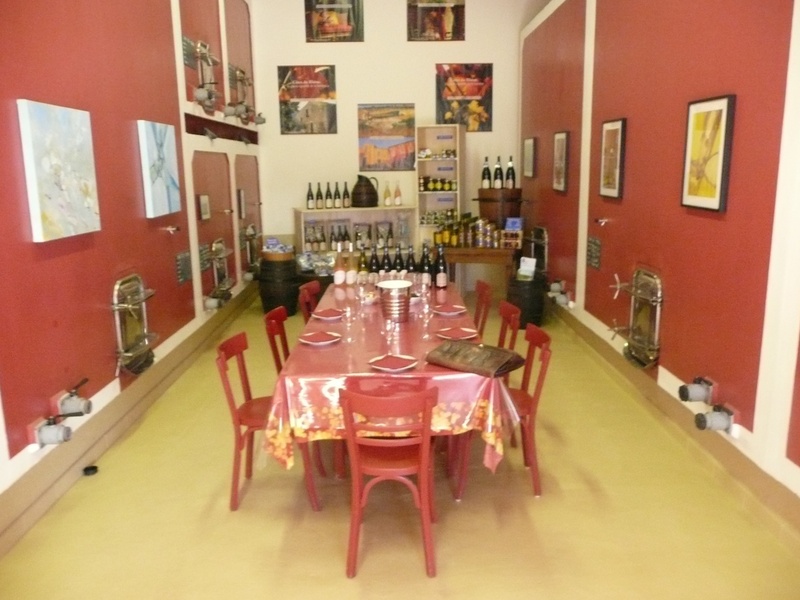 What more would we have tasted if the wines had been decanted for 2-3 hours? This question continued to haunt our evening because you just tell that more was waiting to come out from all the reds. I patiently swirled and swirled to aerate the wines as best I could. A well dressed Loin of Lamb ready to be enjoyed. The next dish was a sensationally tasty black cardamom roasted Anderson Valley lamb loin with basil artichokes, grilled celeriac, currant tapenade and Shiraz sauce. It was greeted by a trio of Grand Cru from the village of Gevrey. The lamb came from Oregon’s Willamette Valley. They eat only grasses, no byproducts. Like the ducks, the lambs are given no antibiotics or growth hormones and, in both cases, these are family producers who have been around a minimum of four generations. 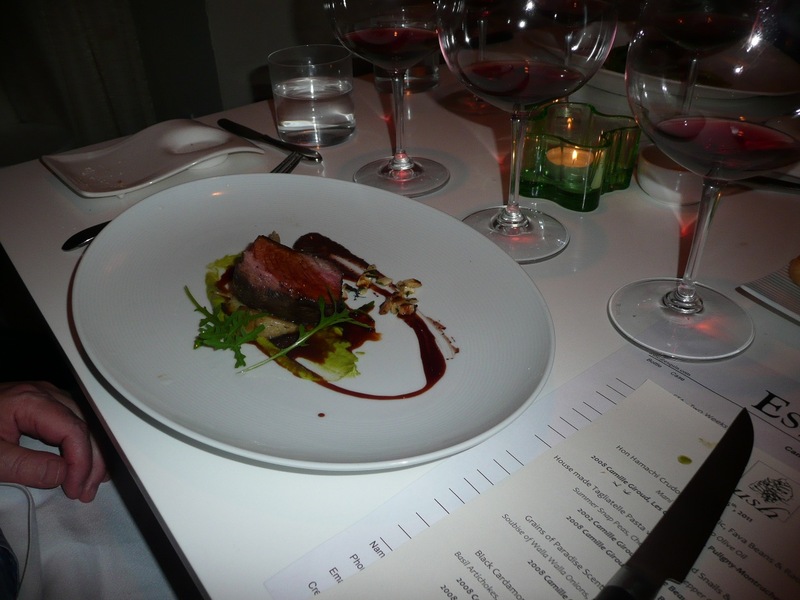 The lamb dish’s rich flavor was a harmonious match to the three Grand Crus, all fro the 2008 vintage. Lined up were the Charmes-Chambertin, a Latricières-Chambertin and the big guy, Le Chambertin. Gevrey boasts 8-9 Grand Crus, depending how you count Mazoyères-Chambertin. What was fascinating about this line up was that the vineyards are so close to each other. Without the variables of winemaker, vintage, and grape (I believed they were picked at similar times), we had a perfect study in terroir. And how different the wines were! The Charmes was the most evolved. It was rich, lush with ripe, dark fruit; it fitted its name. The Latricières was very tight, perhaps the most elegant of the three. The Chambertin was clearly the most powerful and ageworthy of the three. My kingdom for a decanter! Very clear difference all of us, including less experienced tasters, could discern. Everything the same but for site. Terroir is not a myth, as some would have us believe. You can taste it. Amazing. Dessert was light and fresh, aptly titled “A Tasting of Summer Strawberries & Rhubarb with Goats’ milk, Yuzu and Sassafras. Yuzu is a Japanese citrus fruit famous for its aromatic rind. Sassafras is a type of bushy tree whose root smells like root beer. In fact, when I was a wee boy at Summer camp in upper New York state, we used to forage for the roots, boil them and, if memory serves correctly, make a passable root beer style sweetened beverage. Before dessert we were presented with the featured wine, a 1978 Volnay 1er cru Les Champans. David spoke about the wine noting that the vintage was outstanding. The proof was in the glass; the wine was unbelievably fresh with good acidity and ample lush fruit. I detected a hint of pipe tobacco on the nose. Near the end of this marvelous evening, the distributor passed around a treat. A 2008 Nuits-Saint-Georges 1er cru Clos de la Maréchale from Jacques-Frédéric Mugnier, one of my favorite producers. 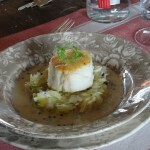 The Clos is a monopole, meaning that it is owned by one person, Mugnier. It’s a rarity in Burgundy. The wine had been opened a while so it was more ready to taste and it was surprisingly lush and rich. A nice punctuation to a great evening. Refreshed from a whole three hours of sleep we set out at 6:00 a.m. for the village of Visan in the Southern Rhône. We had to make good time because it was nearly 240 miles away and we had a tight, ambitious schedule. 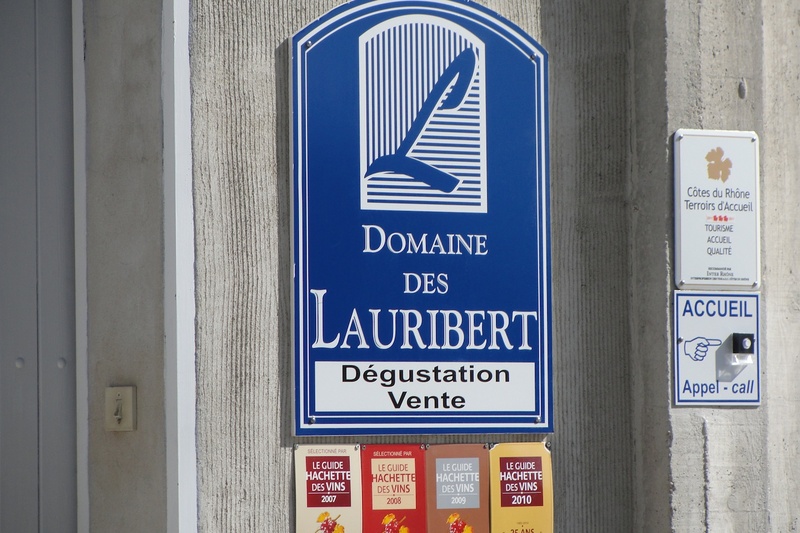 We were due at our first stop, Domaine des Lauribert, by 10:00 a.m. for a comprehensive tasting of their full lineup of roughly 10 wines, plus lunch afterwards. Then we had to arrive at Chapoutier in Tain l’Hermitage, in the Northern Rhône, by 2:00 p.m. and it was 90 minutes away. 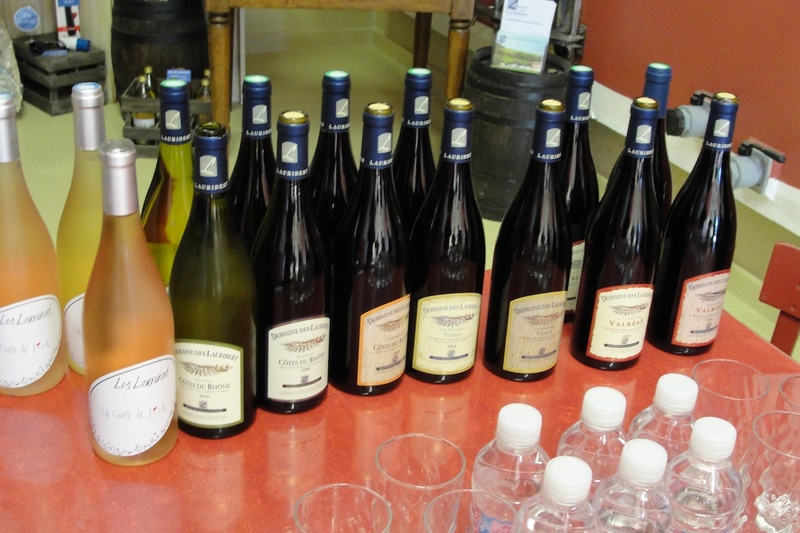 After another large tasting of 20 wines, we would have to arrive in Burgundy, in Puligny-Montrachet, by 5:00 p.m. The last stop was 2.5 hours away; there was no way we could make it but we were happily unaware of this. 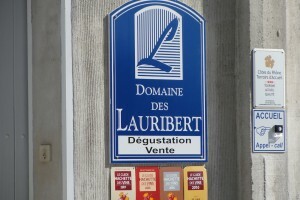 We arrived at Domaine des Lauribert in Visan punctually at 10:00 a.m. Thank goodness for GPS! Lauribert is located in the northern part of the Southern Rhône. Grenache is the main grape here blended with Syrah, Mourvèdre, Carignan or Cinsault. The white wines are often blends as well some combinations of Grenache Blanc, Clairette, Roussanne, or Viognier. The rosés are dry, crisp and delicious. 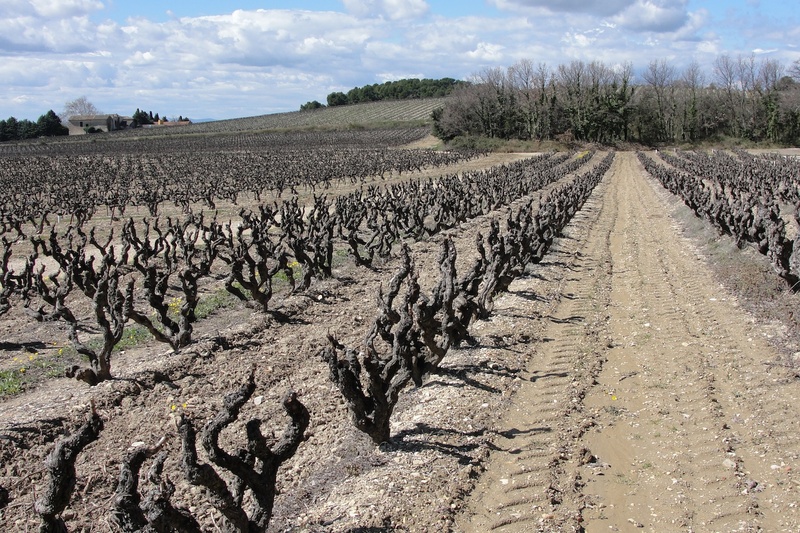 We were struck by the endless rows of old bush vines that we assumed were Grenache. We learned we were wrong; the vines were Syrah! We had never seen bush vine (or Gobelet in French) Syrah. Usually it is trained on spurs, like Cordon Royat, or canes like Guyot method. Cordon spur training is better for mechanical harvesting and bush vines are better suited to hand harvesting. 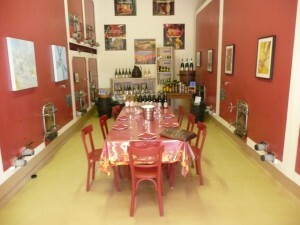 No grand dining room here; fermenters to the left of me, fermenters to my right, here I am drunk in the middle with you! Viticulture aside, we had work our way through a large number of wines, selecting which ones my two companions from Vinum Importing would bring into the U.S. Our tasting would have real consequences for Vinum’s business. We loved the rosé but it would arrive too late so they might import it the following vintage. The wines were all very well made but we selected only a half dozen. 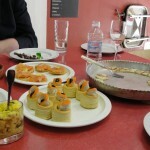 Near the end of the tasting, they brought in platters of delicious finger foods. After negotiating pricing and delivery logistics, we bid our farewell to the fine people at Lauribert. It was just past noon. Now on to Chapoutier, one of the greatest estates in the Northern Rhône. 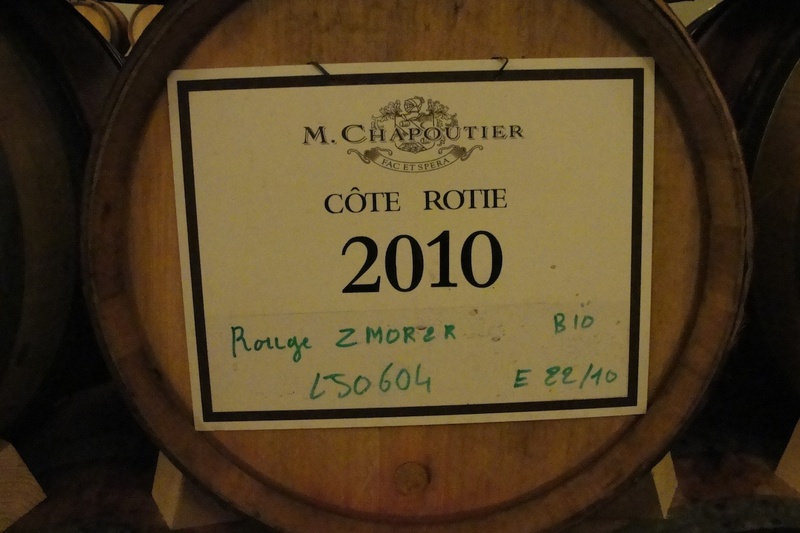 Maison M. Chapoutier, led by the energetic Michel Chapoutier, is located in the village of Tain l’Hermitage. As in Burgundy, the village appended the name of its famed hill to its name in order to increase its prestige (in Burgundy, it’s usually its finest vineyard). 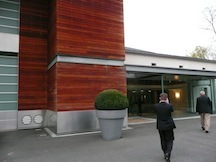 Chapoutier’s headquarters is modern, attractive and functional with an impressive shop next door. We met up with Pierre-Adrien Fleurant who drove us first to Chapoutier’s new, ultra modern winery by the autoroute on the outskirts of Tain. 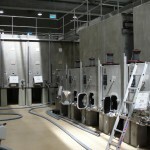 We viewed the vast arrays of large, spotless stainless and concrete fermenters and toured the enormous barrel cellar. We saw Michel Chapoutier but he was giving a long interview to French TV so we unable to meet him. Afterwards, we visited the famous hill of Hermitage named after the twelfth century medieval crusading knight, Gaspard de Stérimberg. He settled on the hill, granted to him by Anne of Castille, Queen of Spain, and lived out his life there as a hermit thus giving the hill its name. You can see the producers’ names all boldly displayed on the hillside and the chapel of St. Christopher (owned by Jaboulet). Behind me are the Syrah vines that produce some of France’s finest red wines. The West and South facing top of the hill are its greatest climats or vineyards like Bessards, Le Meal, l’Ermite and Greffieux. 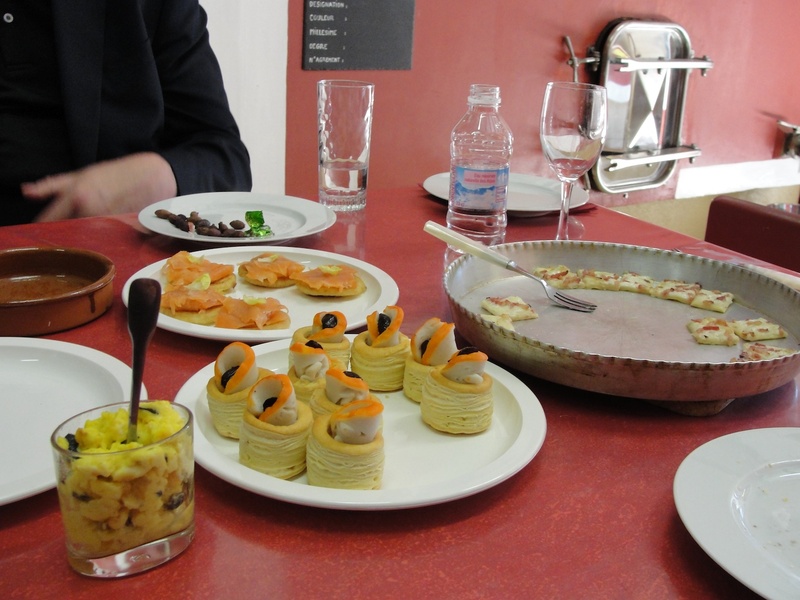 It was now after 2:00 p.m. and we had just returned to the headquarters to begin our tasting. Our guide generously poured us a broad array of wines from a simple Côtes de Rhônes up to the top single vineyard whites and reds (Chapoutier calls this top level the sélections parcellaires). The top wines were magnificent. Afterwards, we visited the shop and our guide poured us the estates top brandy, or eau-de-vie, which was a 1966 fine from magnum. It was incredible but too rich for me to buy at $150 for a half bottle. Instead, I purchased their non-vintage fine. They also make a marc which is a brandy made from pomace (skins, pulp, stems and seeds) but it is much rougher than fine. 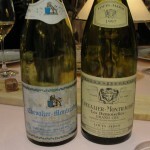 Additionally, I purchased two bottles of 1990 Chante Alouette l’Hermitage blanc. I tasted one bottle the other night and it was excellent. We now set off for Burgundy. It was 4:00 p.m. and we had 150 miles to go to our next appointment. Alas, that was at 4:00 p.m. as well so we rescheduled it until early next morning. The second appointment was at 5:30 p.m. at Boyer-Martenot in Meursault. 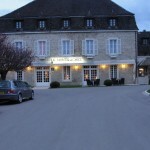 Our phone’s batteries were dead so we could not call ahead and they were closed when we arrived after 6:00 p.m.
We pulled into our charming hotel, aptly named the Hôtel les Charmes, in Meursault. 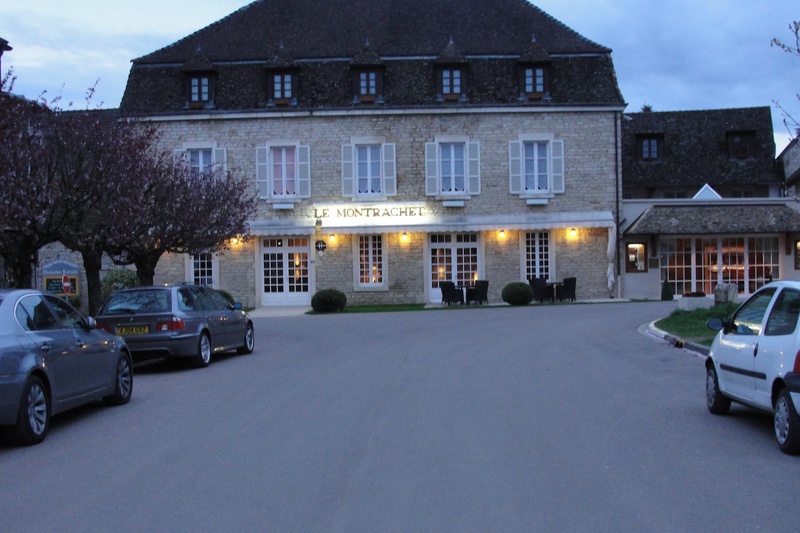 After changing we went to dinner at an amazing restaurant in Puligny-Montrachet called Le Montrachet. Our dinner was spectacular and the wines? All were tasted blind in two flights. 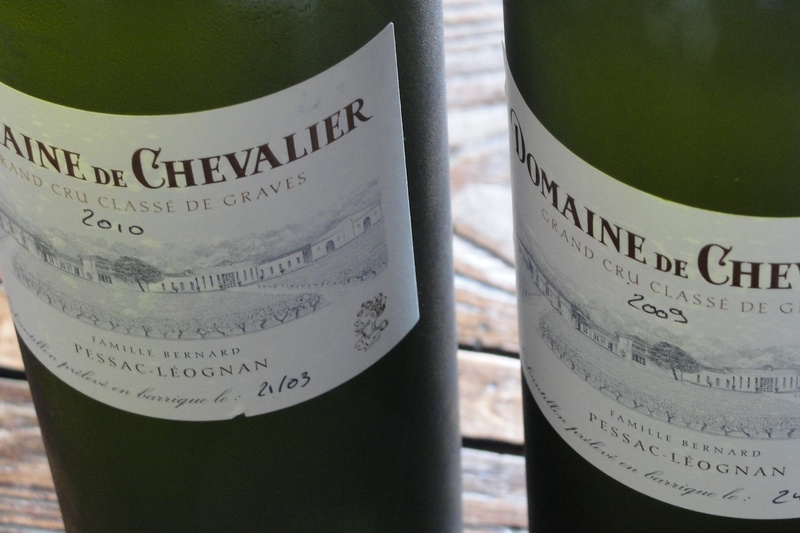 We tasted two whites first and correctly guessed they were both the same Grand Cru. We were surprised both by their age and the age difference between them. 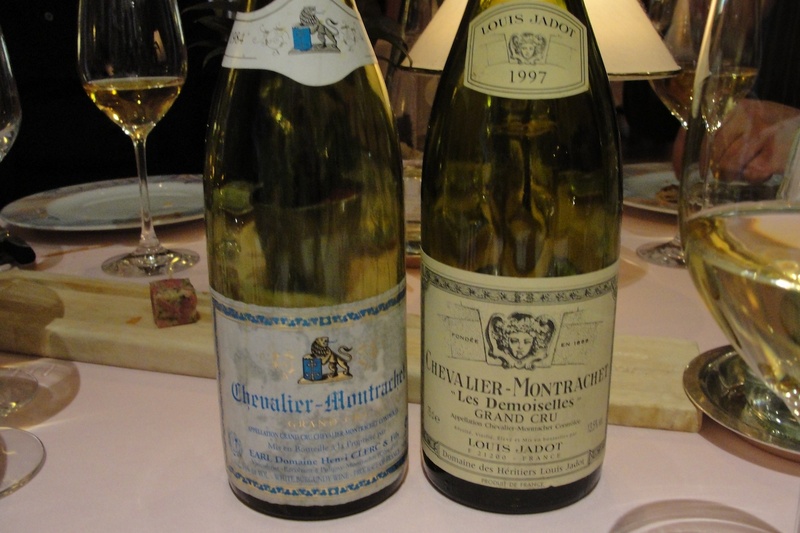 One was a 1984 Chevalier-Montrachet from Henri Clerc that tasted far younger; the other one was also a Chevalier-Montrachet, the 1997 “Les Demoiselles” from Louis Jadot. The Jadot actually tasted older than the Clerc! 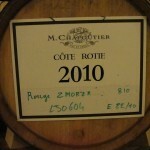 Now for some red Grand Cru - Why isn't it called Morey-Clos-de-la-Roche? Next were the reds. 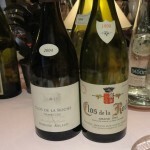 We tasted two Clos de la Roche Grand Cru. Again, we recognized grand cru. 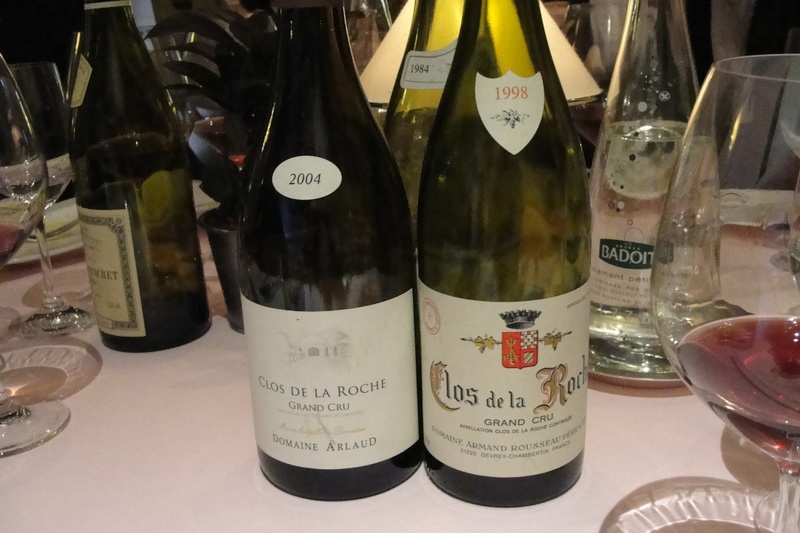 They were a sublime 1998 from the great Armand Rousseau and a delicious 2004 from Domaine Arlaud. Exhausted from little sleep and a long day, we headed back to our hotel and a restful sleep. We are now in the midst of the 2010 Bordeaux futures campaign. It began in mid-April and will continue until June, 2011. The futures or “en primeur” market for Bordeaux is a relatively recent development of the mid-twentieth century. At its core, futures buyers are paying now, in full, for delivery of specific wines roughly two years later (i.e. a “future”). People buy wine futures because they are guaranteed delivery of the wines they want at a pre-determined price. Why lock up your cash for two years? It makes sense if you believe that either price of your desired wine will rise significantly or that the wine you want will not be available later. There can be significant risks associated with futures purchases. First, make sure you are purchasing from a reputable, reliable source like Esquin Wine Merchants, which has been around for over five decades. They will stand behind the futures. Otherwise, the wine may never show up and you may lose the cash you invested up front. Secondly, unless it’s a top quality vintage like 2009 or 2010, arrival prices may not rise appreciably; they may even début at levels lower than the initial offers (like 1997, for example, when futures débuted at exceedingly high and unsustainable prices). You may have made a poor investment, tying up your valuable cash for two years. Finally, it’s important to assess the overall worldwide economic environment. 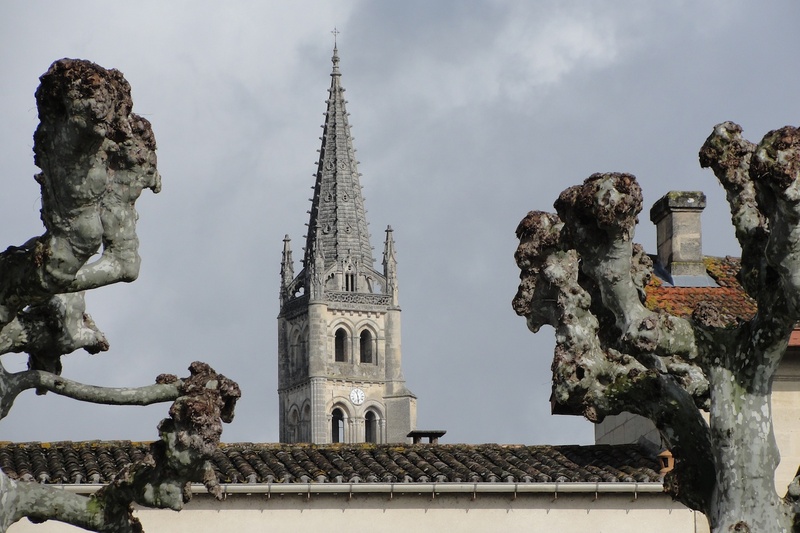 What is affecting Bordeaux prices? Is it unfavorable exchange rates? Do you want to buy on a weak dollar, for example? Is it the strength of a new dynamic market like China and can they sustain long-term demand? Are there other players driving prices like British pension funds and investment houses who are now permitted to invest in wine futures? 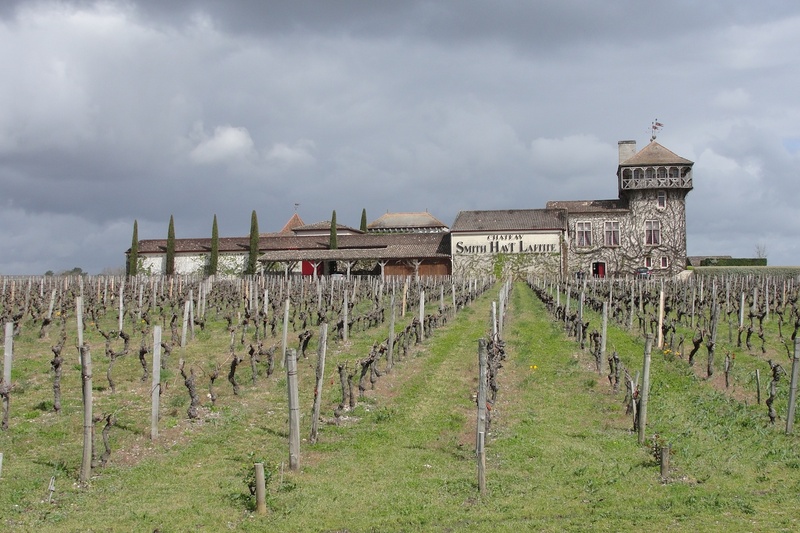 Is demand strong across all châteaux or just a few like Lafite, Latour, Petrus, etc.? Are importers, negociants, brokers, or châteaux sitting on large unsold stocks of prior vintages? Or is supply of top estates really low (this may be the case for the 2010 vintage)? Each Spring, around the end of March and beginning of April, the chateaux of Bordeaux open their cellars to journalists and the wine trade to taste the new vintage of the prior year. The timing reflects the cycle of the wine. Both alcoholic and malolactic fermentations have been completed and the final assemblage or blend has been finished. 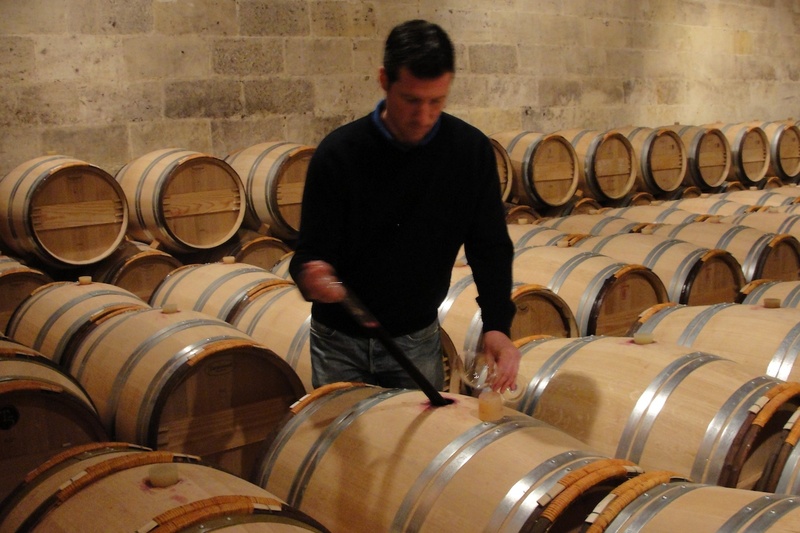 The wines are very young, they need to age (or sleep) in oak barrels for another 18-24 months, but they are ready to taste and tasters can now get a sense of the wine’s quality. 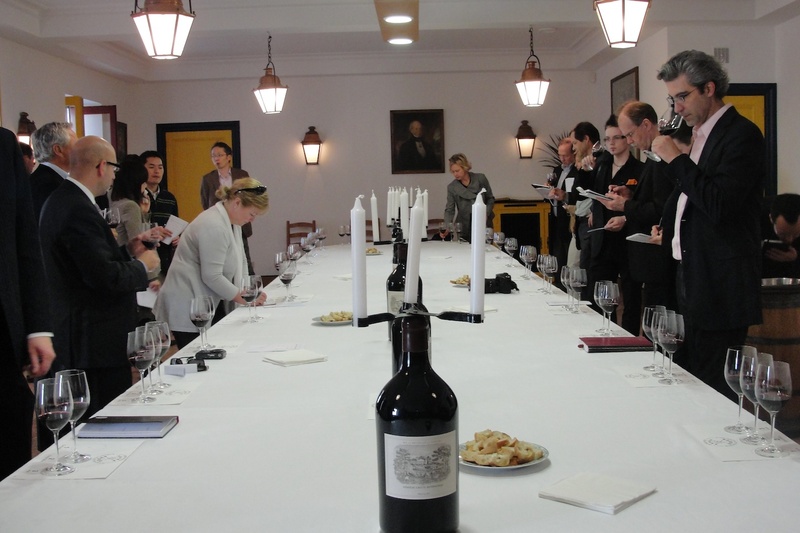 Wine merchants, from China, Finland and everywhere in between, taste the new vintage at Château Lafite-Rothschild. Their impressions will affect demand and may affect prices. It is during these tastings that the journalists and wine trade rates the wines. The big wine publications like Decanter, the Wine Advocate and the Wine Spectator publish their reviews. Chateaux are able to take the pulse of the market and set their prices for wine futures with input from brokers, negociants, importers and merchants. The futures offerings appear over the course of nearly two months, beginning in late April and continuing until late June. The early offerings are from the smaller lesser-known estates. The top Second and First Growths appear only at the end of this process. The Bordeaux market is highly structured with several layers of middlemen. Few chateaux sell directly to importers. Incidentally, the lists of chateaux offered, that you receive from your wine merchant, is a result of a selection process – not all chateaux offers are presented. Futures are available in several tranches or offerings. The lowest prices, as well as the initial supply, are usually presented in the first tranche. If you miss it, you may get another crack at it but prices may be higher, supply possibly lower. I recommend caution when purchasing futures. With a small handful of exceptions, they can be risky investments. If you buy, buy what you want to drink or collect. Get the advice of a knowledgeable, trustworthy expert at your local wine merchant. Do some homework and read up on the current offered vintage. The best rule of thumb is to buy well-reviewed wines from a superior vintage. 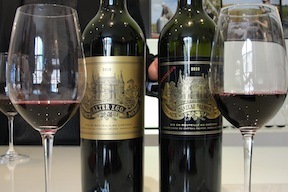 Recent superior vintages are 2005, 2009, and 2010. Although not as highly rated as the previous three, 2008 was a very good vintage; if you purchased futures of top wines you benefitted from lower overall prices (set during a huge economic recession) and a stronger dollar. 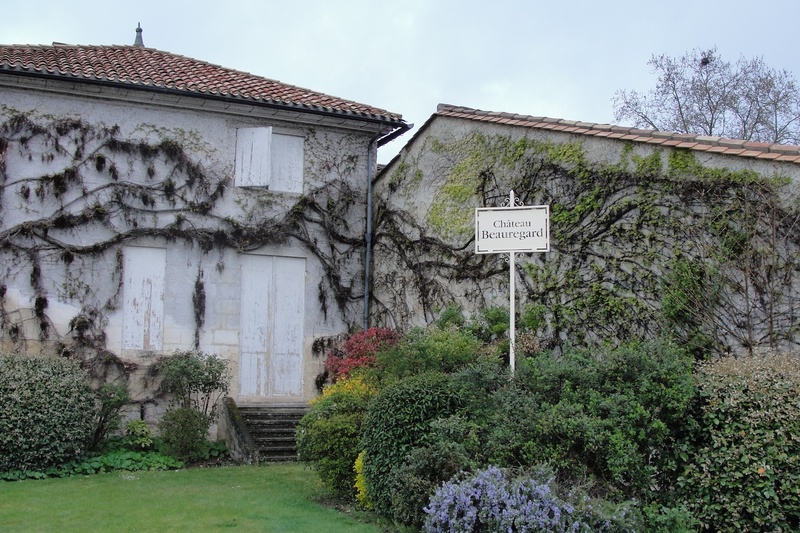 Our first stop in Pessac-Léognan, the heart of the Graves region by the city of Bordeaux, was Smith Haut-Lafitte. This is a terrific estate sustained by the passion of its owners, Daniel and Florence Cathiard. I first met them this January in San Francisco at the Union des Grands Cru Tasting of 2008. Bordeaux. The unusual charming architecture of Smith Haut-Lafitte greeted us as we turned into the long drive, punctuated by startling huge metal statue of a cartoon-like leaping hare. I wondered why this incongruous wascally wabbit but I’m told real hares congregate around it at night. The rows of old vines were tethered to wires like silent marionettes, frozen in joyous, chorus line dance. Smith-Haut Lafitte (SHL) is one of the top estates in Pessac-Léognan, the heart of Graves. 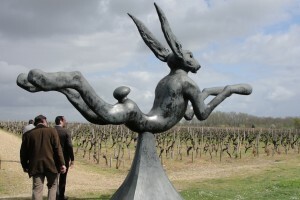 Graves is the major Bordeaux region south of the Médoc, home to its only First Growth, Haut-Brion. It enjoys a classification, begun in 1953 and revised in 1959, without any hierarchies except for Haut Brion. Sixteen estates are classified, thirteen for red wine, nine for white. SHL is classified for red wine. 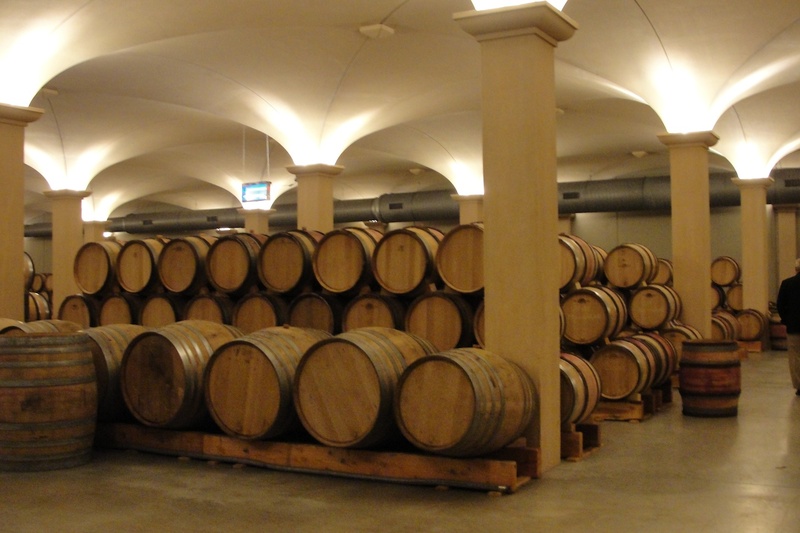 SHL is unusual among Bordeaux châteaux in that it has its own cooperage (barrel making facility). 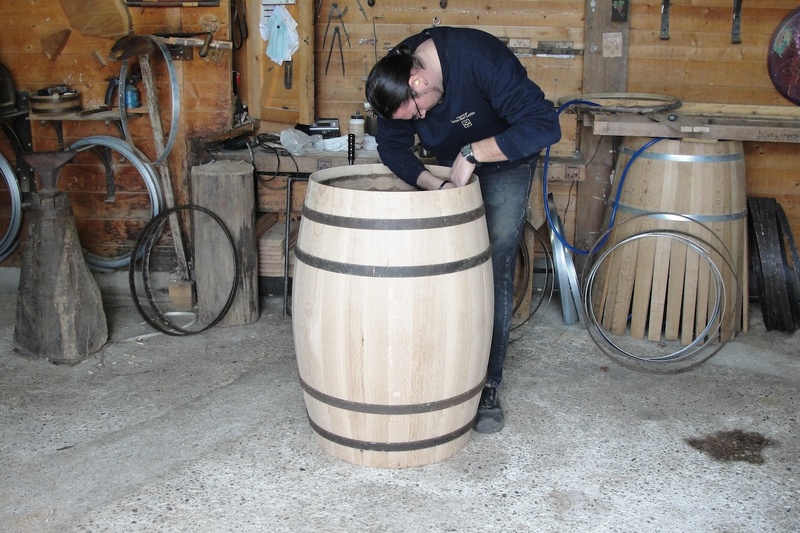 Barrel making is an ancient Celtic craft requiring years of apprenticeship before becoming a cooper. Their cooper can produce two barrels daily. We tasted both the white and the red. They were outstanding. The red was nearly black and opaque with terrific concentration. The white was rich yet nice acidity. Parker rated the red at 95-97 points, the white at 92-95 points. The Wine Spectator gave them similar scores. Decanter rated both wines at 18 points. 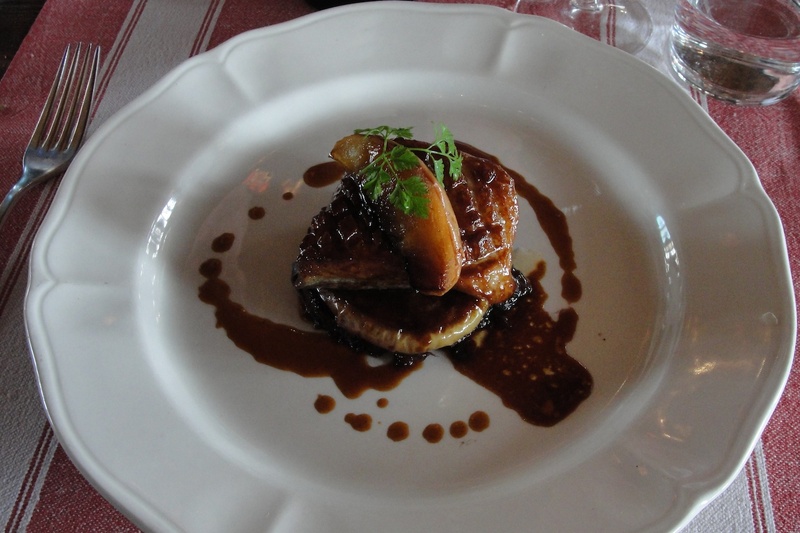 We enjoyed a terrific lunch at La Table du Lavoir on the Château’s grounds. Now it was on to Carbonnieux, classified for both red and white wines. This is beautiful estate with a small museum of antique cars. Both red and white wines were lovely but without the power or intensity of SHL. 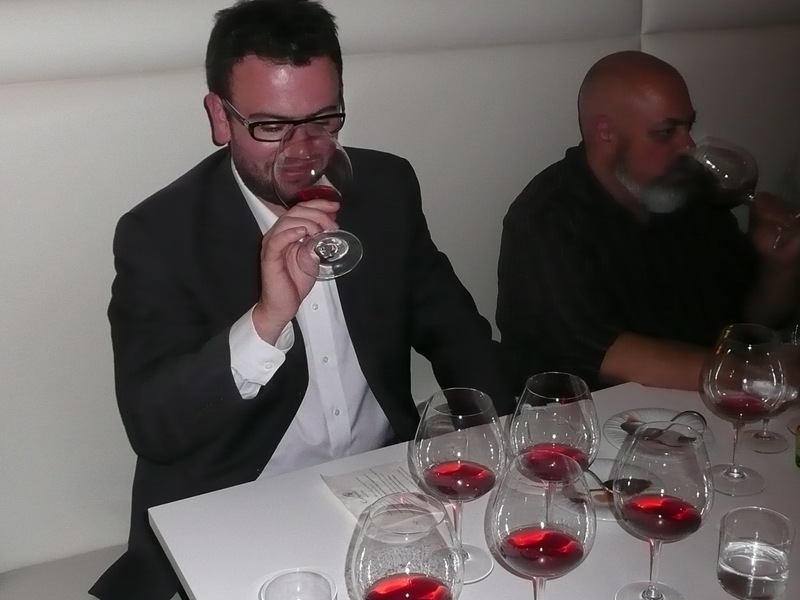 Parker rated the red at 91-93 points; the Spectator rated both at 89-92 points. How did that guy get there? Next stop was Haut-Bailly, classified for red wine. This is a beautiful sprawling estate. As we entered the cellars, I was impressed by the stone lintel above the entryway. 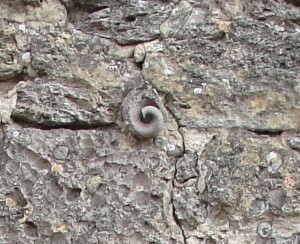 There were mollusk shell fossils within the limestone! Proof this area had once been a seabed. 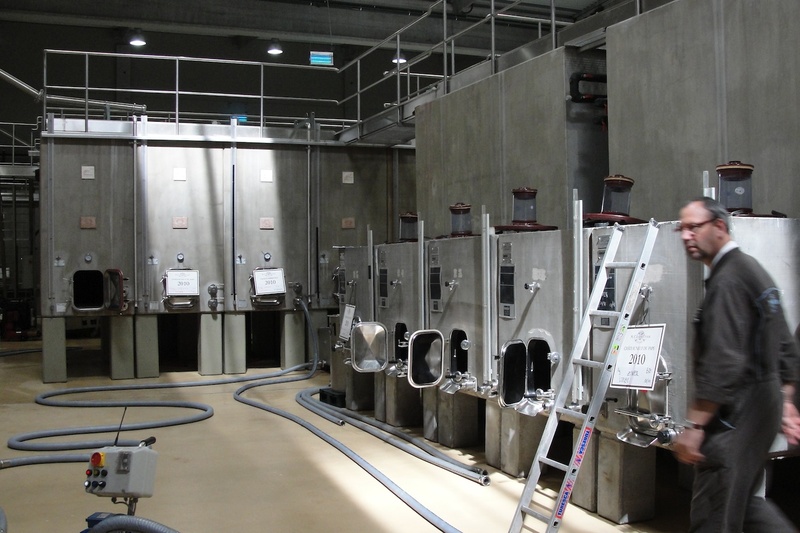 We noticed that all the fermenting vessels (cuves) were concrete which they chose for its temperature stability and the freshness they claim it gives a wine. This is not unusual in southern France and northern Italy. 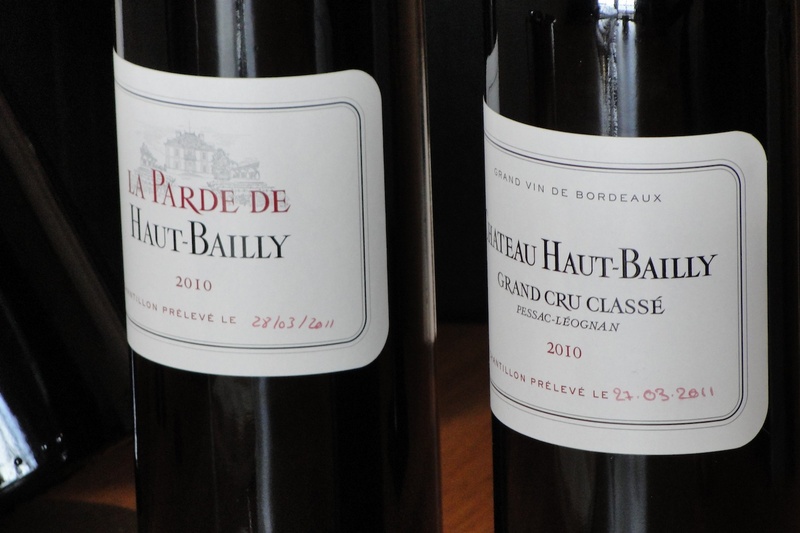 We tasted both the grand vin (flagship wine) and their second wine, la Parde de Haut-Bailly. The flagship was stunning, on a par with SHL but even tighter and denser – a beast. Parker rated it at 95-97 points. No rating from the Spectator (why?) but Decanter gave it 18.5 points. The la Parde was excellent, too. It was starting to drizzle as we drove on to Domaine de Chevalier. It is classified for both red and white wine. We were greeted warmly by the energetic Rémi Edange, deputy director of the estate. He gave us a tour of this estate’s spectacular winery. We then tasted the 2010 red and white against the 2009 vintage. Egads, they were all stunning! These are massive, beautifully made wines. Parker rated the 2009s higher than the 2010s. The red was 91-93 points in 2010, the white 92-94+. For 2009, he rated the red at 94-96 and the white at 96-98 points. Likewise, the Spectator rated the 2010 red at 92-95 points and the 2009 at 93-96 points. They rated 2010 white at 91-94 points and the 2009 at 95-98 points. 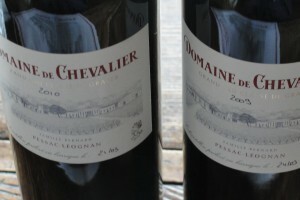 Decanter rated the both 2010 wines at 18.5 points. 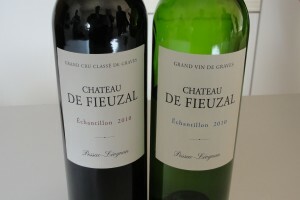 Our last stop in Pessac was at Fieuzal, classified only for red wine. This estate was under a massive expansion, which we toured. Director Stephen Carrier enthusiastically showed us around the new winery under construction. No fancy architect here, just functionality. The wines were excellent – the finest Fieuzals I’ve ever tasted – but they had to follow Chevalier. Fieuzal is usually a very reasonably priced wine. Parker rated the red at 90-92 points and the white at 92-94 points. The Spectator rated the red at 90-93 points and the white at 89-92 points. Decanter rated both at 16.5 points. 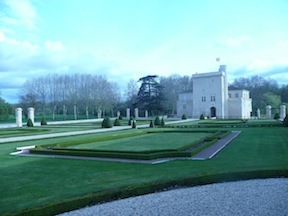 After Fieuzal, we undertook the long drive to Château Mayne-Vieil in Fronsac. This is a small, unassuming estate with working owners, the Seze family. Dusk was approaching and we were greeted by a light drizzle as we exited our car and walked to the austere offices. Bertrand Seze is the winemaker and his sister Christine Boye does the books and oversees marketing. At 7:00 p.m., they were both hard at work. Upon our arrival, Bertrand took us on a tour while Christine went to the house to make dinner. After our tour, we tasted the wines. They were delicious, more for drinking then collecting I thought, although the Cuvée Alienor is a big serious wine that is 100% Merlot. 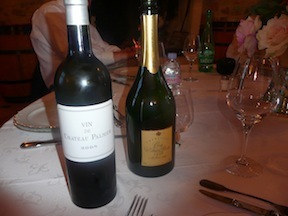 At our dinner, Bertrand brought out two old bottles. They were still excellent and we were stunned to learn one was from 1949 and the other from 1959. Incredible. Alas, these wines are not rated by the big reviewers. Happily, Mayne-Vieil and its siblings are imported directly into Seattle. We left after dinner. It was dark now and we were exhausted by the long day. The rain was persistent, our mood now matching the weather. Our decision to drive on, made the night before, now looked overly ambitious; the task daunting. We had to find a place to stay somewhere between our location and Nîmes, a distance of 250+ miles. After driving a cruel two hours, we decided to find a hotel in Toulouse, a city 160 miles from Fronsac. We arrived after midnight and our GPS told us many hotels were clustered by the train station. At night, rainy Toulouse looked forbidding. The road we took was lined with prostitutes at every intersection. With the incessant rain, it felt like we were in a scene from the film Blade Runner. We turned around and headed on in the direction of Nîmes. It was after 2:00 a.m. when we found a motel,La Couchée, at an autoroute rest stop. The manager resembled the crypt-keeper. We took three rooms and awakened at 6:00 a.m. – three plus hours of sleep. Onward to our next tasting – breakfast of champions! 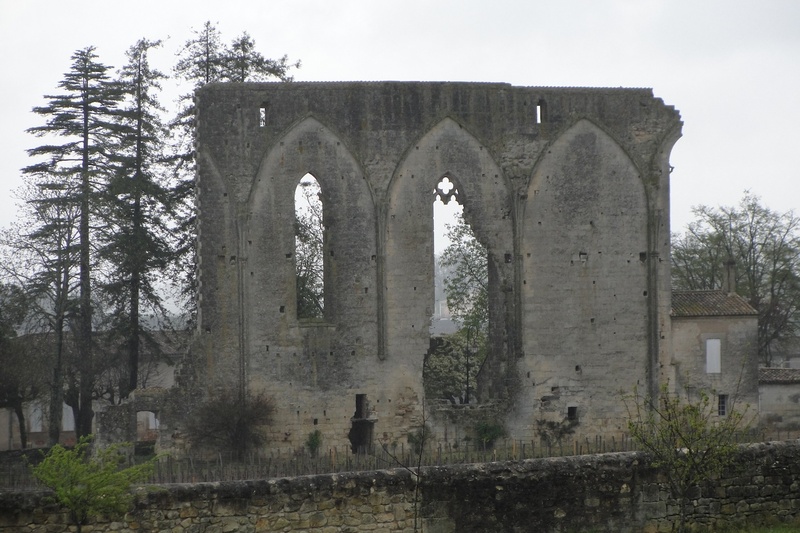 With our tight schedule, we were limited two just five châteaux on the Right Bank; two in Pomerol, three in neighboring Saint-Emilion which is one of France’s most beautiful wine towns. Afterwards, we would drive to Graves and visit another five estates. Thence to dinner at Château Mayne-Vieil in Fronsac. The night before, after tasting many great wines at Château Angludet, we figured it was a good time to re-assess our itinerary. At the end of day three, we were supposed to return to Cap Léon Veyrin for the night and leave the following morning, the 30th, for the Northern Rhône valley. Instead, we thought it would be far more efficient to leave from our last stop in Fronsac and do a wee bit of late night driving on our way to the Rhône. Brilliant! We would stop in Toulouse at midnight and then leisurely motor our merry way to Hermitage by 1:00-2:00 p.m. Thus, firm in our new resolve, we packed up our bags and went to bed around 1:00 a.m.
Alas, at 6:00 a.m., phone ringing, I had a bleary-eyed confrontation with morning. Hurry up, pack up, hurry up, eat up, run to car. On our way to Pomerol’s Château Beauregard at 8:00 a.m.! There is no classification of châteaux in Pomerol, the smallest appellation in Bordeaux at under 1900 acres. Merlot is the principal grape here comprising 80% of total plantings. 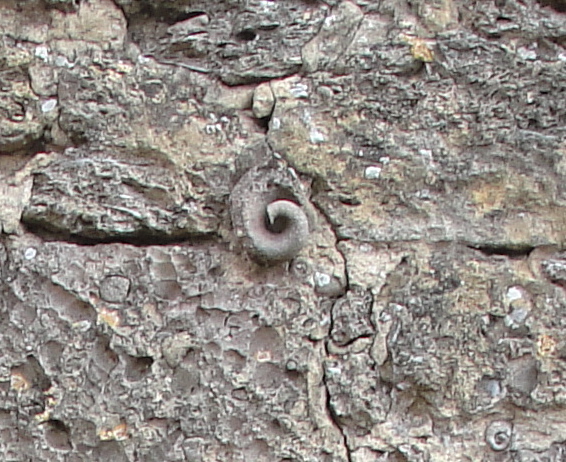 It does well in the iron-rich clay soils and clay/gravel marls. 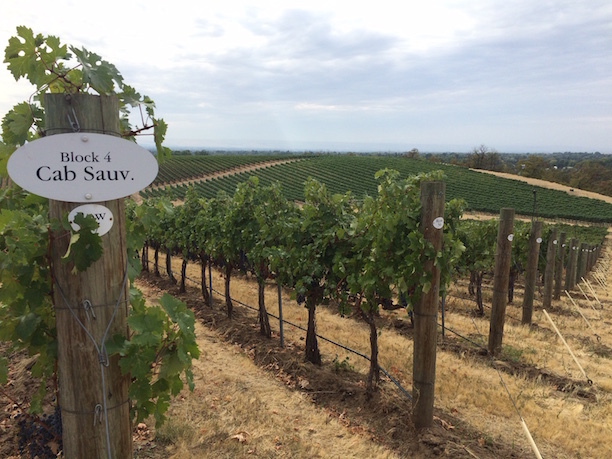 Otherwise, Cabernet Franc and a small amount of Cabernet Sauvignon are planted on more gravelly soils. Beauregard, as its name implies, is a beautiful estate; much more modest than the grand châteaux of the Médoc. In fact, there no Médoc-style grand estates in Pomerol. We tasted the 2010 Beauregard direct from barrel. It was fairly tannic. Feeling sharp as a billiard ball, it was difficult for me to discern the fruit at 8:00 a.m. Parker rated it at 89-91 points, Decanter rated it at 17 points (best Beauregard ever?). Onward to Château Gazin. Both Gazin and Beauregard lie in the eastern part of the appellation, Beauregard in the South and Gazin in the North. Between them is the celebrated Petrus. We waved as we passed by. At Gazin, I was just coming to terms with the daylight. 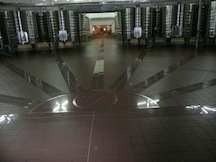 We entered a beautiful chamber to taste the wine. Here, we tasted the new wine out of a sample bottle in an elegant setting. Now I could taste better. This was a bigger, beefier, richer wine with dark dense fruit but boy it needs time to evolve. Parker gave it 93-95 points, Spectator at 92-95 points, Decanter at 17.5 points. It was time to visit Saint-Emilion. 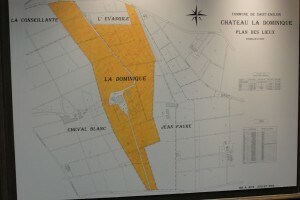 Unlike Pomerol, there is a classification of estates here, first undertaken in 1954. It is reviewed every 10 years and the current classification is before the courts with some important disputes. There are 13 Premiers Grands Crus Classés 55 Grands Crus Classés and a few hundred Grand Crus. 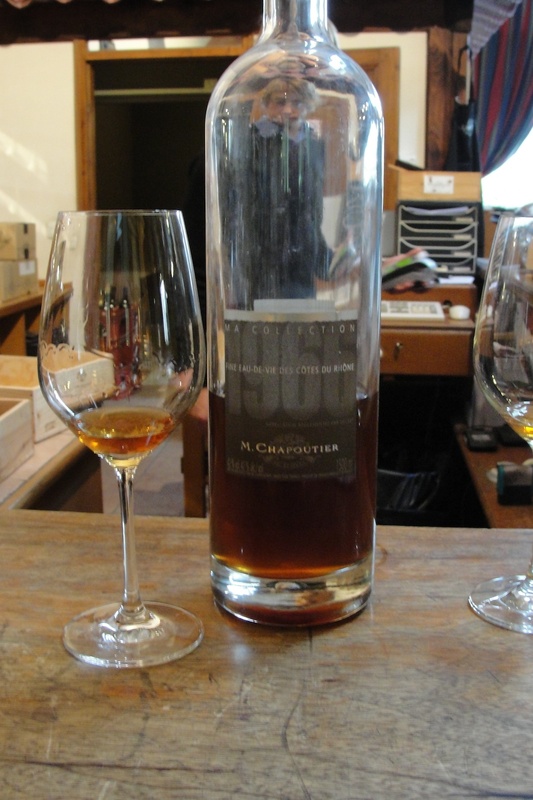 Our three visits were all Grand Crus Classés, with two, Clos Fourtet and Figeac, Premiers Grand Crus Classés. Our first stop was Château La Dominique, whose border neighbors Pomerol. Coincidentally, the owners of Gazin owned La Dominique until the end of World War II. La Dominque is now owned by a wealthy family in the construction business. The estate enjoys a terrific location, adjacent to Cheval Blanc, Pomerol’s l’Evangile and La Conseillante. Our host was the estate director who first impressed us with his elegant shoes, apparently untouched by vineyard soils. We remarked on the construction of an enormous spaceship-style building at Cheval Blanc next door. He excitedly responded that while Cheval’s architect is renowned, La Dominique’s new architect is “number one.” He went on discussing the estate’s major new building plans while we were anxious to get on with the business of tasting wine. 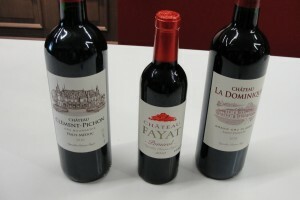 Finally, the wines were presented and, in addition to La Dominique, we tasted Château Fayat and Clémont-Pichon. Fayat is a Pomerol estate named after the owners and Clémont-Pichon is in the Haut-Médoc. Maybe all the talk about architects and prestige turned us off but we were not impressed with the wines. The reviewers think otherwise: Parker rated La Dominique at 92-94 points and the Spectator rated it at 92-95 points and the Fayat at 89-92 points. Decanter rated Dominique at 17.5 points and Fayat at 16. Oh well. 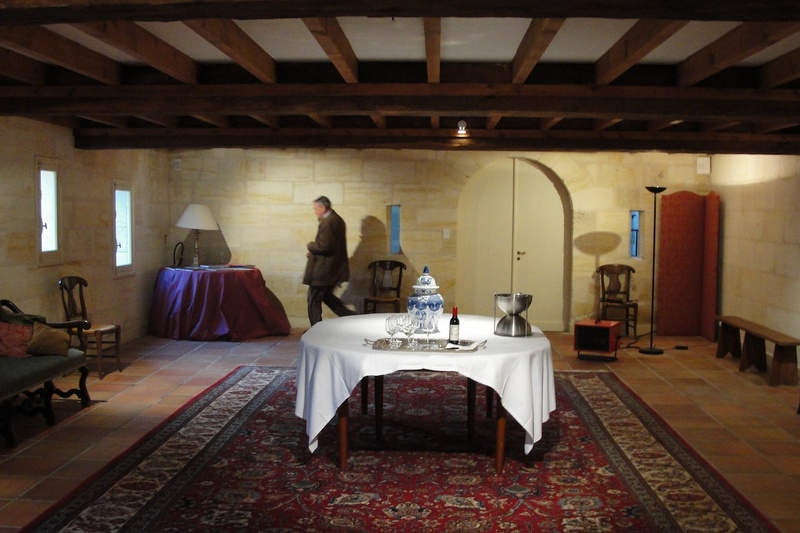 Rain was starting to fall as we arrived at Château Figeac, another estate undergoing construction and improvements. 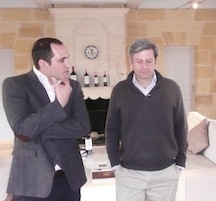 Although we had to wait in the cool rain a few minutes, we were greeted warmly by Figeac’s owner, Count Eric d’Aramon. He himself proceeded to pour us the new vintage directly from barrel. No nonsense here, just great wine (by the way, his shoes were slightly muddy!). This was a magnificent wine; complex, rich yet elegant. Oddly, Parker did not review it. The Wine Spectator rated it at 93-96 points, Decanter at 18.5 points. 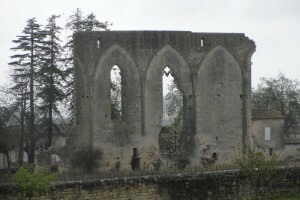 Now we went to the center of Saint-Emilion, next to the gothic church ruin is Clos Fourtet. 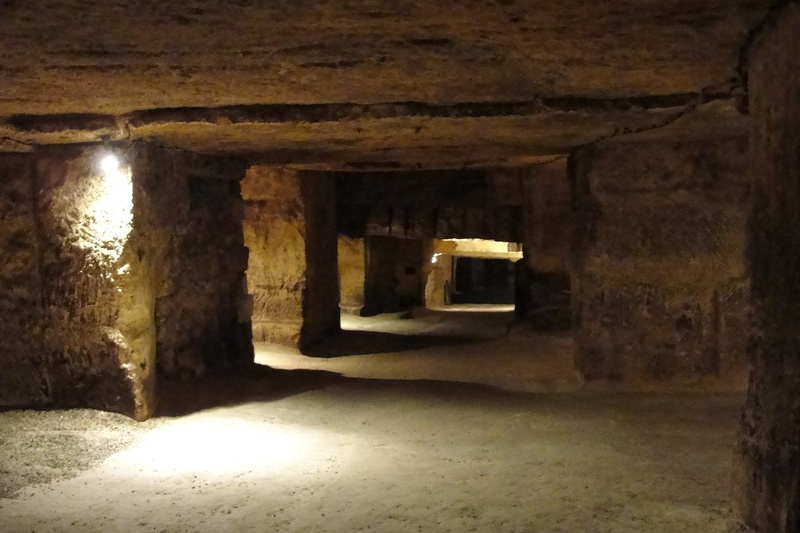 This is an amazing estate with a 12 km maze of ancient underground limestone caves running under the village. The wine was inky, superb, concentrated with surprising freshness. Parker rates it at 95-97 points, the Spectator at 92-95 points and Decanter at 18 points. We stopped in the village to purchase its famous macaroons and canelé, a local pastry. Then we departed for Pessac-Léognan across the river in Graves. After lunch at Angludet, we motored over to Chateau Palmer, which is jointly owned by the Sichel and Mähler-Besse families. Palmer is a beautiful château. 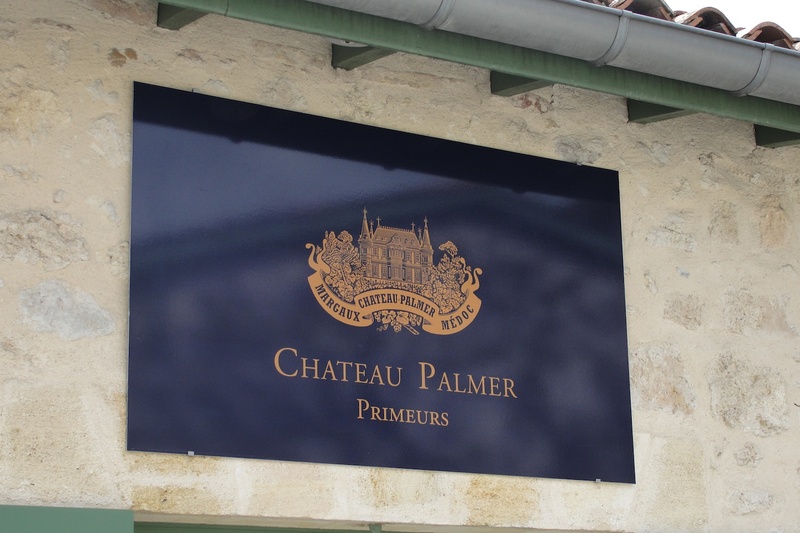 Although classified as a third growth of Margaux, Palmer is certainly the quality of a top second growth (a super-second) and fetches prices befitting its quality. Château director Bernard de Laage de Meux hosted our tasting of the 2010 Palmer and its second label, Alter Ego. Both wines were excellent but the Palmer was stunning. It would turn out to be one of the top five 2010s we tasted during our stay in Bordeaux. The Palmer was purple/black with about 5% Petit Verdot, the balance being equal parts Cabernet Sauvignon and Merlot. Sleek, intense, powerful. RP is 95-97 points, WS is 95-98 points (92-95 for Alter Ego), 19.5 points (out of 20!) for Decanter. After Palmer, we went to fourth growth Marquis de Termes, also in Margaux. Alas, Palmer was a hard act to follow and the Marquis’ wine could not compare so it probably seemed a lesser wine than it really is. 17 points Decanter. We next turned northward to Saint-Julien and stopped at Château Gruaud-Larose, a second growth on the South side of the appellation. This was an excellent Gruaud with more power than usual but with Gruaud’s typical smoky nose. RP is 92-94 points, 93-96 points for WS, 18 points for Decanter. 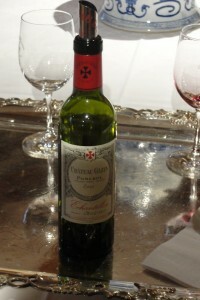 Nearly across the street from Gruaud, was Chateau du Glana, a modest and unclassified estate but one of high quality. I liked this usually modestly priced wine; it was beautiful and balanced but without the power of the big boys. We’ll have to wait to see the cost of the 2010 but I hope it stays modest. Decanter gave it 16 points. After Glana, we went North to Pauillac and second growth Château Pichon Baron de Pichon de Longueville (or Pichon Baron for short). What a stunning, gorgeous Château (same architect as Palmer)! The Château was framed in front by a reflecting pool and on both sides by monumental style buildings evoking ancient Egyptian tombs. The building with a papyrus-like scroll on top turned out to be the elaborate barrel cellar (or chai) and tasting room. It was here that I learned how high-tech these classical looking estates can be. They showed us a state-of-the-art laser grape sorting unit and our guide admitted they owned an expensive reverse osmosis machine, hidden away. Nevertheless, the truth is in the wine. To demonstrate the greatness of the vintage, they generously permitted us to taste it alongside the fabulous 2005 and 2009 vintages. Three glasses of wow! 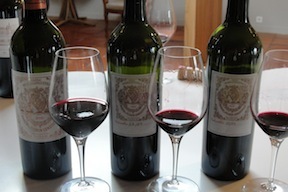 All three were intense and concentrated, with the 2009 showing more opulence and flesh and the 2010 showing raw power, coiled up tightly like a cobra. The 2010 was rated 97-99+ points from RP, 95-98 points from WS, and 18.5 points from Decanter. After this amazing visit, we tooled up to fifth growth Château Lynch-Bages. Like Palmer, it should be re-classified up to a third – or possibly second – growth. No grand neo-Egyptian estate here, just a lot of good wine! The flagship was big and rich, with more concentration than usual. 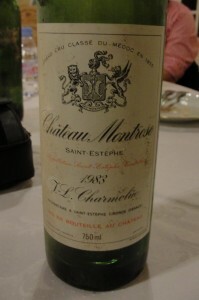 Parker rated it at 95-97 points, WS was 95-98 points and Decanter at 18 points. By the way, we also tasted the Lynch Blanc of which I am a big fan. The second wine, Echo de Lynch-Bages, was excellent, too. The family also owns the Cru Bourgeois Les Ormes de Pez in Saint-Estèphe. This 2010 was outstanding. WS is at 91-94 points, RP at 87-90 points and Decanter at 17 points. From Lynch, we turned to the Haut-Médoc and Château La Tour Carnet, a fourth growth. This is a jewel of an eleventh century crenellated fortress surrounded by a moat. We walked the cross-bridge and admired the beautifully restored building, touring the mural-and tapestry-laden walls. This was the last of our day’s tastings of the 2010 vintage. I can’t speak for my colleagues but my palate was tired, especially after tasting these monsters. I thought this 2010 was good but not in the same league as the Palmer, Lynch or Pichon Baron. It was a chunky monkey! Parker rated it at 92-94 points, WS at 89-92 points and Decanter at 17 points. After such a grueling, tough day (OK, I’m exaggerating! ), we turned back to Angludet for dinner. We had plans to go to a restaurant but they are closed on Mondays! This turned out to be a very good thing, though. James Sichel is an incredible host. After starting off with the Champagne 1999 Cuvée William Deutz, we then tasted the ultra-rare 2008 Vin Blanc de Château Palmer. The rare white Palmer. You cannot buy it. This wine is only given to Palmer’s shareholders and is not eligible for appellation status. It is mostly Muscadelle with Merlot Blanc and the unknown Lauset. It was delicious but you cannot buy it, alas. Something fishy is up at Angludet! It’s funny; I can’t recall the food but the wines are crystal clear! 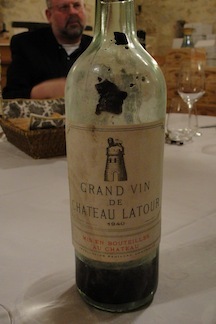 We tasted all the reds blind and started out with 1940 Château Latour, of all things. For some reason, he thought it would be the weakest due to its age and color but it was terrific. Upon examining the bouquet, James uttered his famous “ahhhhhhhh!” It’s a cross between an exclamation and a deep-throated growl and we imitated it throughout the entire trip. 1964 Carruades de Lafite - pretty damn good! Next wine turned out to be 1964 Carruades de Lafite, followed by 1975 Lafite and ending up with the 1983 Montrose. 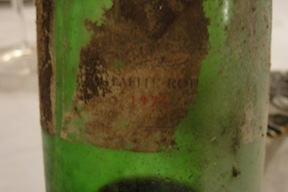 It's hard to read but it's 1975 Lafite alright! Yikes! All were drinking beautifully, impossible denials of their age. We were almost swooning. I will never forget the evening. Tired, we set out on our long, dark, evening’s drive back to Cap Léon Veyrin to spend the night. Tomorrow was to be another long day but we had no clue as to how long it would actually become. We awoke early, ready to roll at 7:00 a.m. 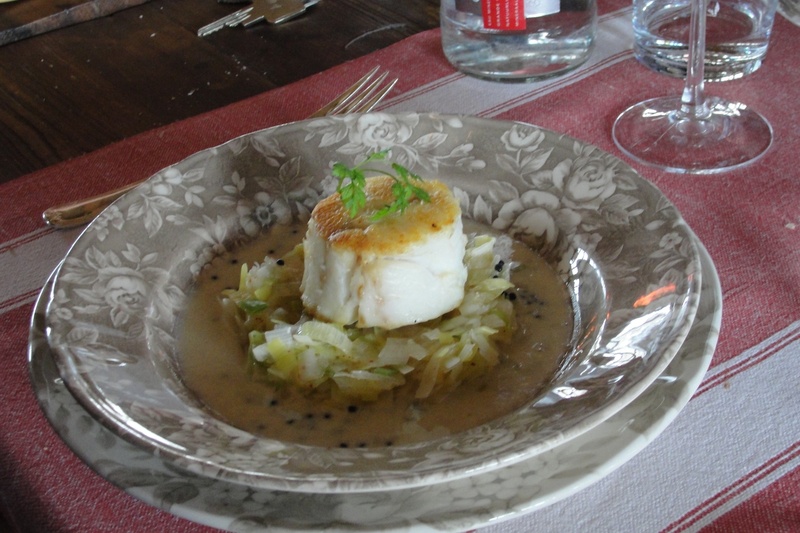 This was to be one of our toughest appointment-packed days – over 14 Chateaux to visit by 6:15 p.m. That meant, with a nearly two-hour lunch (sorry, it’s the habit of our generous French hosts! 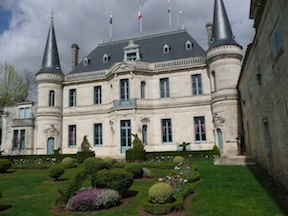 ), we had less than 35 minutes to drive to, tour and taste at each chateau. We planned our route in clusters; first Haut-Médoc and nearby Margaux. 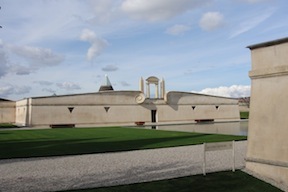 Later, we visited St. Julien and Pauillac before returning to the Haut-Médoc. First stop, Chateau La Lagune, a classified 3rd growth of the Haut-Médoc. The front entrance look grand, kindly and somewhat quaint but the real entrance in back was super modern with a high-tech cuverie (wine-making area) and glorious chai (barrel cellar). The wine was our first look at a 2010 classified growth. It was a tannic beast to my palate, untrained at tasting new Bordeaux fresh from barrel (Parker calls the tannins “supple”). It was ultra-dark, ultra-concentrated but I could discern a seam of dark fruit peak through the tannins. The remarkable thing was the high acidity. This is a wine to age. Robert Parker (RP) rates it 93-96 points, Decanter (D) 18 points but the Wine Spectator (WS) only 89-92 points. I’m in the 92-94 point range. 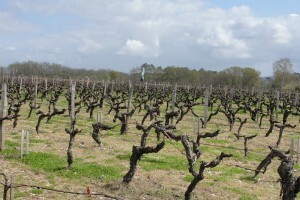 Cantemerle, a classified fifth growth near Margaux but in the Haut-Médoc, was next. Like La Lagune, Cantemerle was dark, tannic, but without the fruit concentration of La Lagune. RP is 91-93 points, D rated at 17 points. After Cantemerle, we went to Cambon La Pelouse, an unclassified estate in the Haut-Médoc. There was no chateau here but a nice, modest contemporary building. Luckily, the staff tasted us on a vertical of four vintages from 2007 through 2010. Again, the 2010 was the dark, tannic wine far more concentrated than 2007 and the lovely 2008. The 2009 was richer, more opulent. Parker gave the 2010 89-92 points, Decanter 16.5 points. 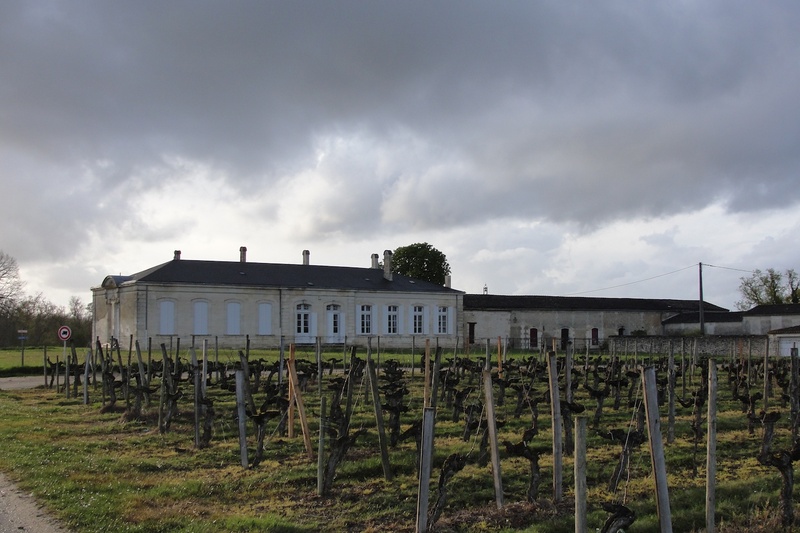 Now a duo of classified growths as we entered 3rd Growth Chateau Giscours in Margaux and tasted their wine as well as 5th growth du Tertre – also in Margaux – owned by the same family. No time for a tour. I enjoyed the wines, although I was not impressed with the du Tertre. 2010 Giscours: 91-94 WS, 92-95 RP, 17.5 D. du Tertre: 87-89 RP, 90-93 WS, 17 D.
The beautiful Cantenac-Brown, a 3rd growth of Margaux loomed up before us as we entered its majestic gates. The grand vin was excellent with the 20120 hallmarks – deep color, high tannins, high alcohol, high acidity. 92-94+ RP, 91-94 WS, 17.5 D. We also tried the 2nd wine, Brio, which was disappointing. It’s a similar blend but with 5% Cabernet Franc which was missing from the grand vin. The Cabernet Franc did not help. 2010 Desmirail in the glass. It’s lunchtime at Chateau Angludet in Margaux (17 points Decanter). The wine was lovely but we were blown away by the 2005 Larrivet Haut-Brion Blanc which we sipped first. Our host was James Sichel whose family owns the estate along with a big share of Chateau Palmer which we’ll visit after lunch.